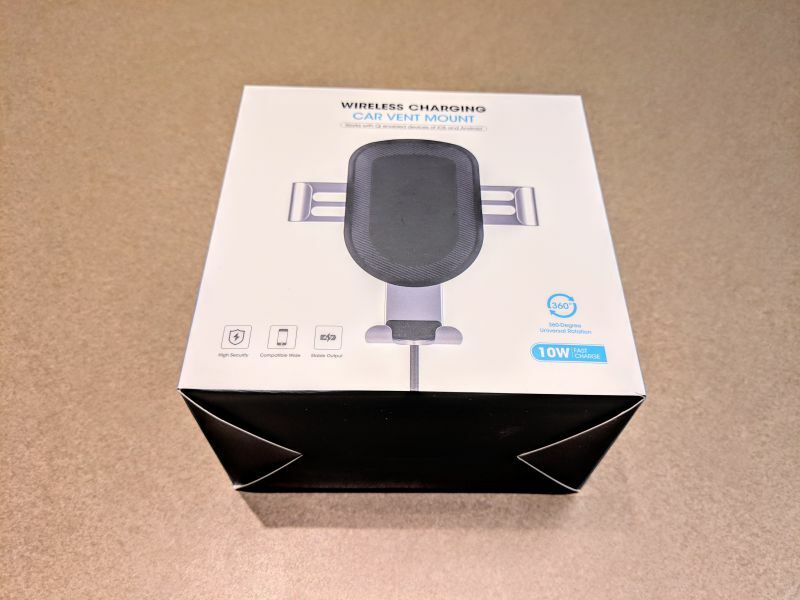 REVIEW – As I detailed in my recent review of the expensive and functional Naztech MagBuddy Wireless Charger, most newer cell phones are able to be charged wirelessly and there are a growing number of options on the accessory market these days. 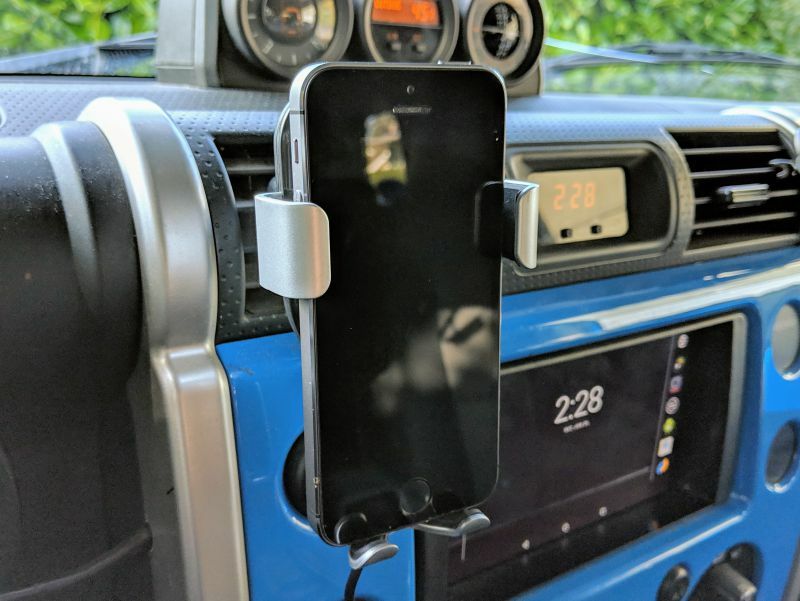 Following up with that review comes my experience using the slightly more affordable Tech Armor Wireless Charging Car Vent Mount. At $29.99, the Tech Armor Charger has an innovative method of securing your phone and is serviceable but a bit flimsy. 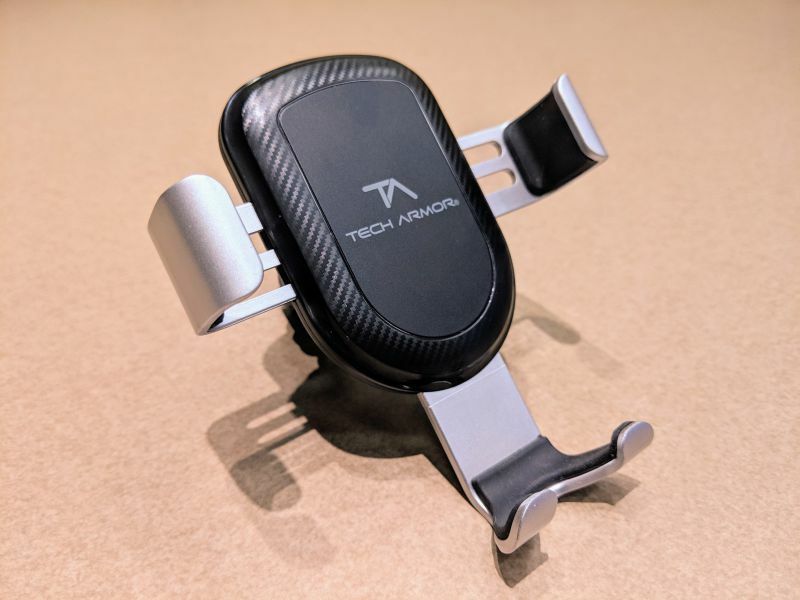 The Tech Armor Wireless Charging Car Vent Mount is a car phone holder that can charge your Qi-enabled phone through contact. 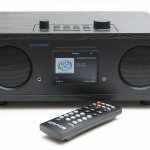 The charger holds the phone in place with two side brackets and charges through power coils embedded in the mount. 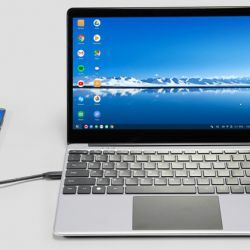 The Tech Armor can deliver 10W of power to certain iPhones and Samsung phones, but other phones, like my Google Pixel 3, will only receive the standard 5W of power. The Tech Armor arrives in a thin cardboard box that has a picture of the device on the front and details its capabilities. The unit and accessories are well protected inside the box in a molded plastic holder. When I first opened the box for the Tech Armor Charger I was excited to see that the brackets were made of aluminum, but unfortunately, I was mistaken. 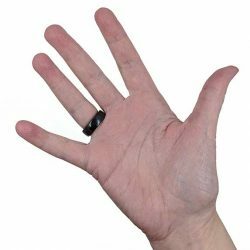 The brackets are made of lightweight plastic made to resemble aluminum. 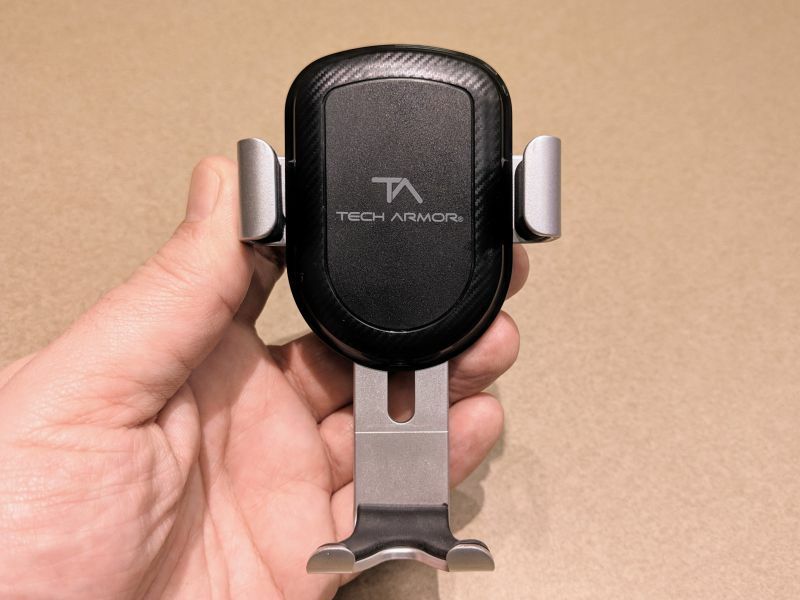 Despite the plastic construction, the Tech Armor Charger does have an innovative solution for holding your phone. The side brackets of the mount are spring loaded to stay open and are triggered to close when weight is applied to lower bracket. When you drop your phone down on to the lower bracket, the weight of the phone closes the side brackets which keep your phone in place. The system works well and held my phone in place securely. 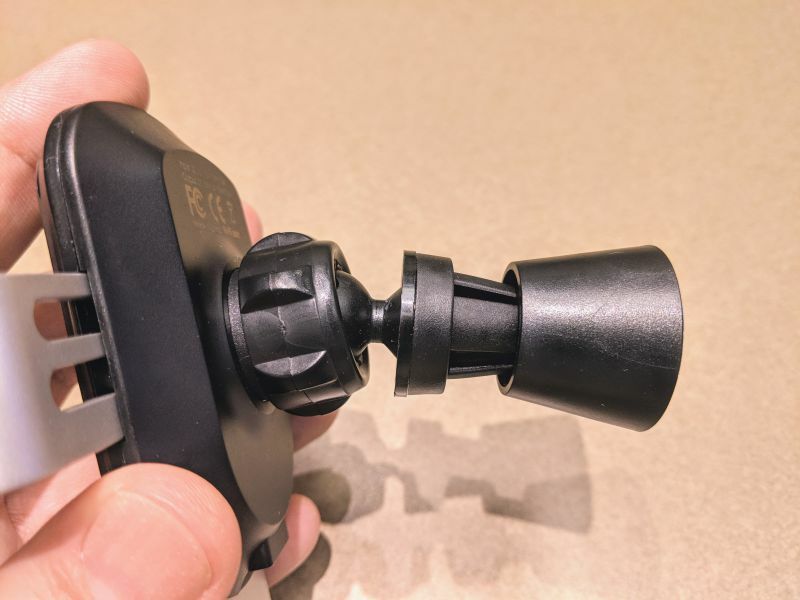 On the back of the Tech Armor Charger is a small four slotted vent mount. To mount, push the slots on to the vent fins of your car and the pressure of the slots hold it in place. 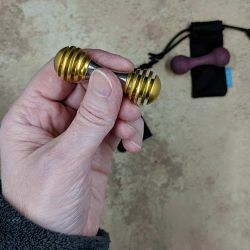 There is a small nut that tightens or loosens a ball and socket joint which allows you to position the phone at a desirable angle. 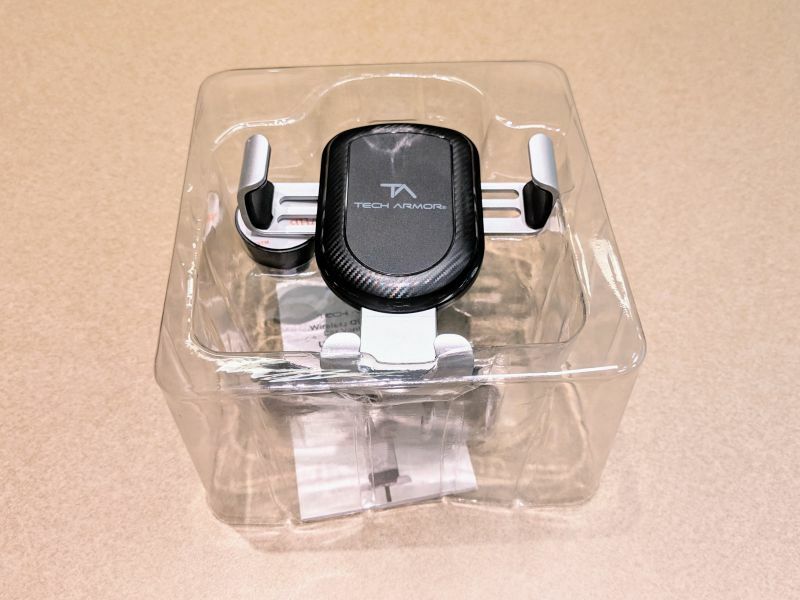 If your car’s air vents aren’t compatible with the Tech Armor mount, you can use the supplied Base Stand Attachment to secure the charger. 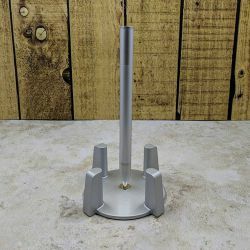 The Base Stand Attachment fits snugly over the vent mount on the back of the charger. 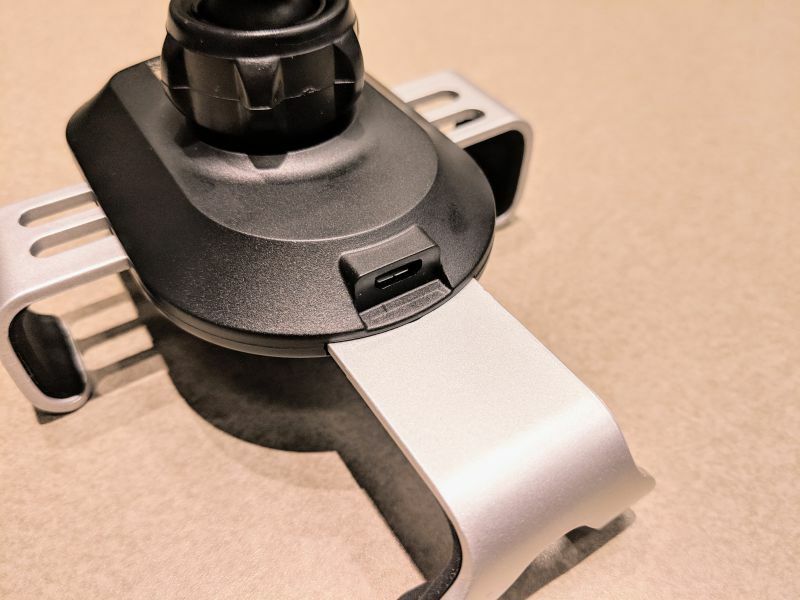 Once the attachment is connected, you can use the 3M adhesive on the bottom to secure the charger to your dashboard. 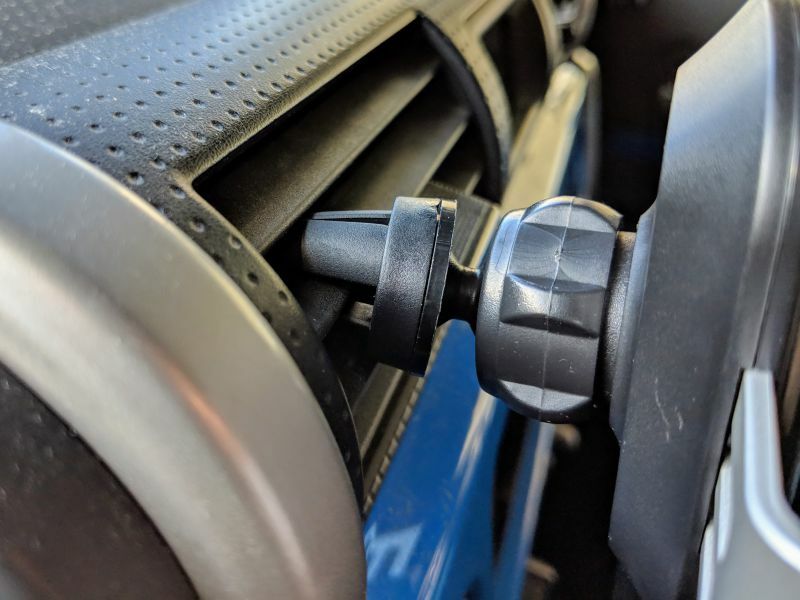 I’m not sure how stable the Base Stand option is, but I’m glad they provided a way to use the mount in cars that may not have compatible vents. The Tech Armor Charger is powered via a Micro USB port on the back of the unit. 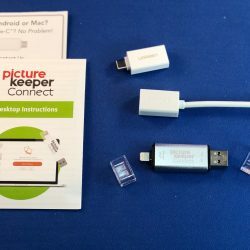 The included Micro USB to USB A cable connects to the unit and then to any USB power supply. I was disappointed to find that the Tech Armor Charger did not come with a USB car lighter power adapter. 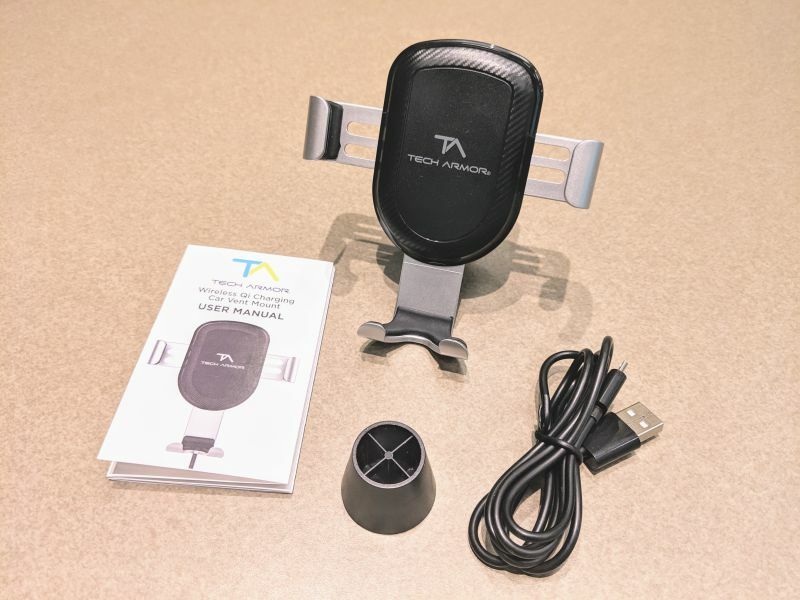 Setting up the Tech Armor Wireless Charger is very easy to do. 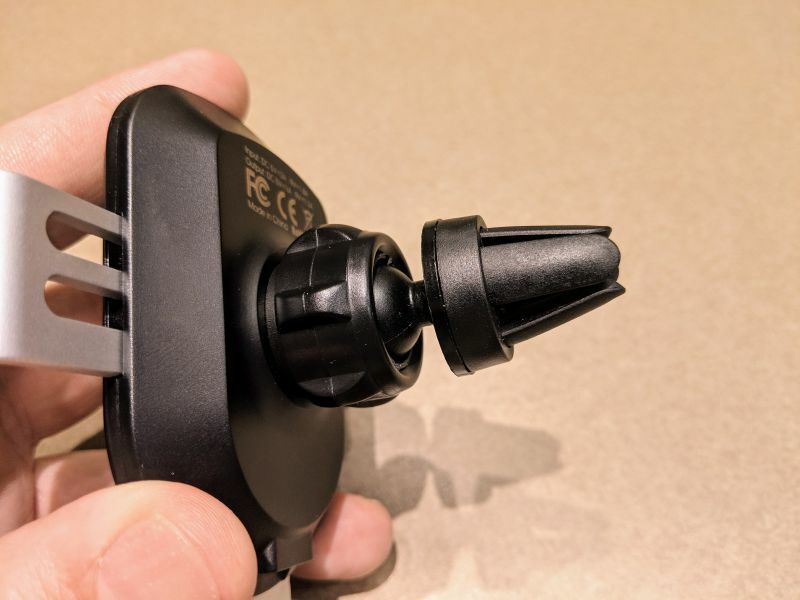 Attach the mount to your car vent, connect the unit to a power source, drop in your phone and you’re good to go. It took some time to adjust the Tech Armor to the right angle. A few times, I thought the angle was correct, only to have it shift because the unit wasn’t securely attached to my car vent. For the price, the Tech Armor Charger performs well. 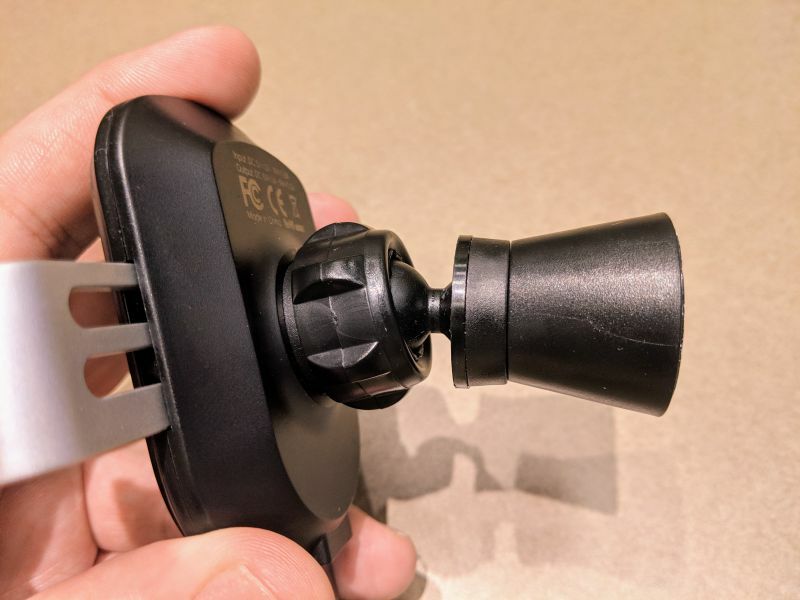 Every time I put my phone into the charger, the mount held it in place and the wireless charger immediately kicked in. There were a few stability issues, but I was able to narrow it down to how my car’s vents work and was able to correct it. 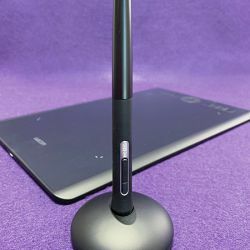 One major complaint though is that because of the way the mount is designed, you’re not able to rotate the phone and use it in landscape mode. 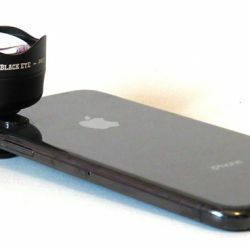 If the phone is rotated too much in any direction the weight is removed from the bottom bracket and the phone will fall out. 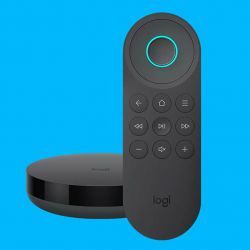 This goes directly against Tech Armor’s claim on the website that the angle of the unit is adjustable. 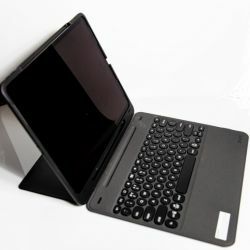 After repeated use, it’s also clear that despite what it says on Tech Armor’s website, the unit is not able to be operated one-handed. 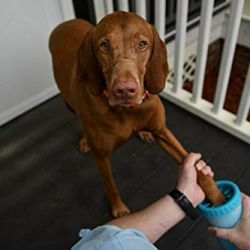 When you drop the phone into the mount you need to use two hands, one for the phone and one to support the unit; the same goes for removing the phone. You can’t remove the phone without securing the unit first. 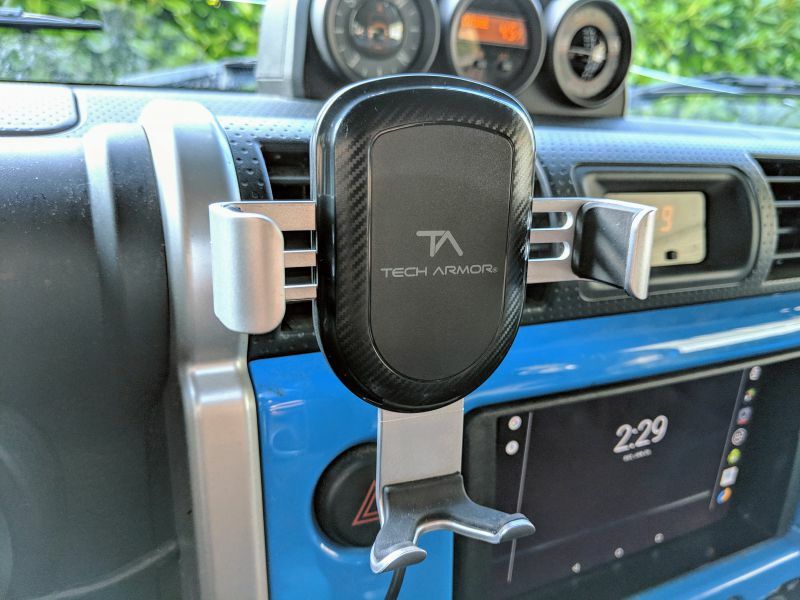 The Tech Armor Wireless Charging Car Vent Mount is a functional, affordable option for those looking for a way to charge their newer phones on the go. 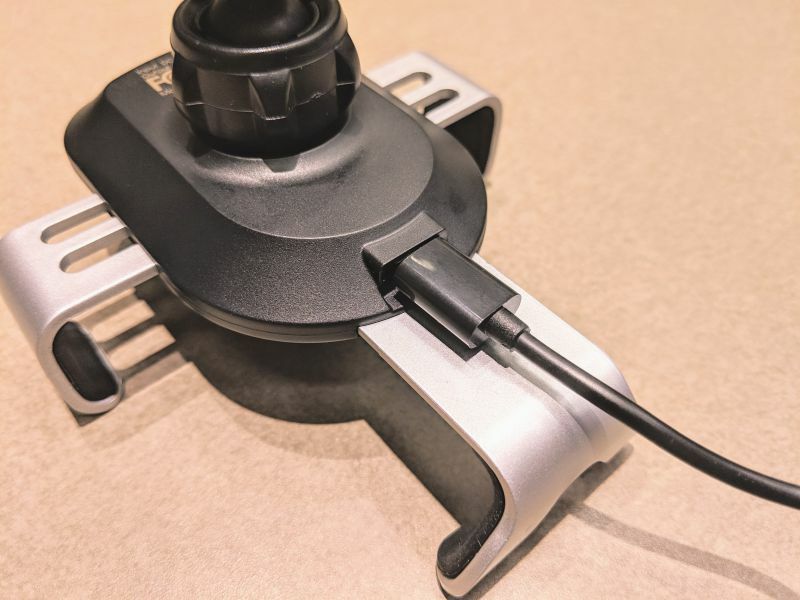 The charger supplies steady wireless power and a stable phone holder if your car’s vents are compatible and stable themselves. 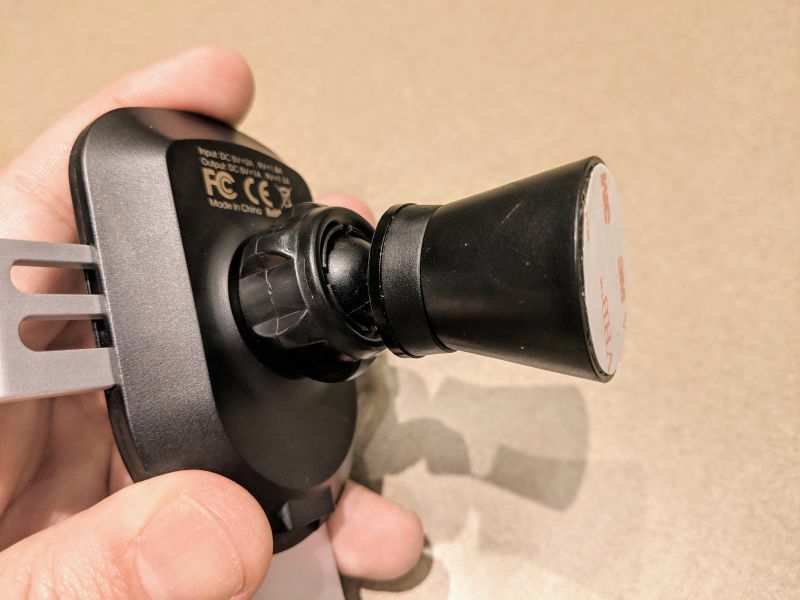 Though, I was disappointed that at a cost $29.99 the charger didn’t come with a car lighter power adapter, was made totally of plastic, and doesn’t give you the option to use your phone in landscape mode. 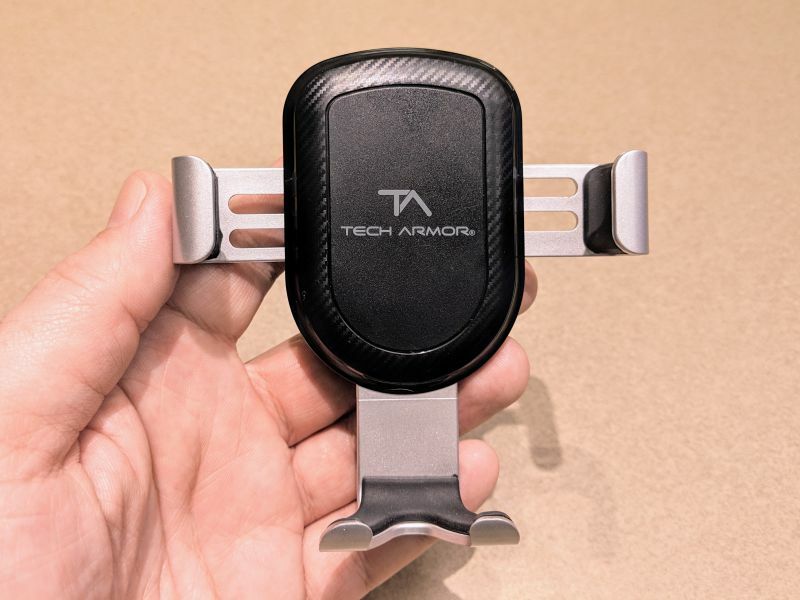 The overall construction is a little flimsy, but the Tech Armor Wireless Car Charger does what it was made to do. 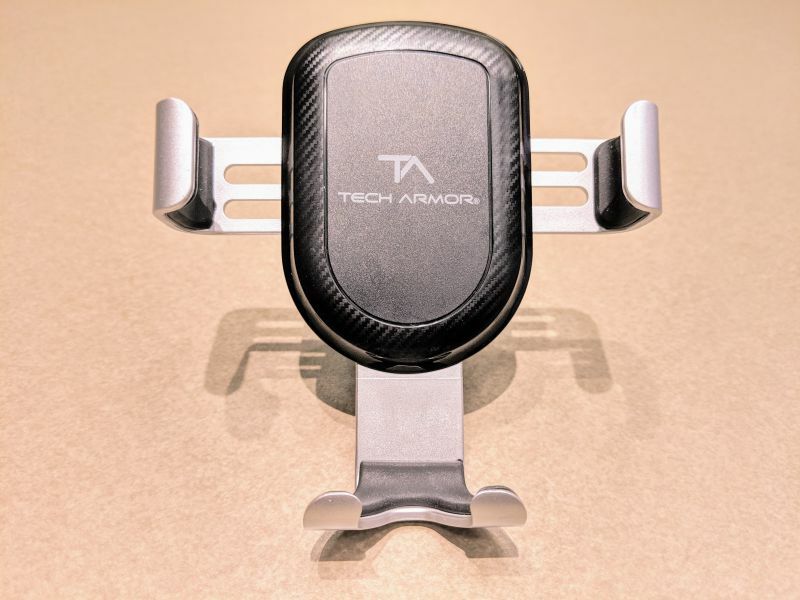 Where to buy: Tech Armor and Amazon. 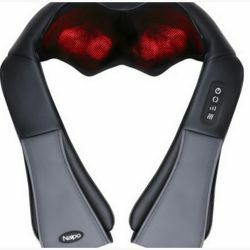 Source: The sample of this product was provided by Tech Armor.